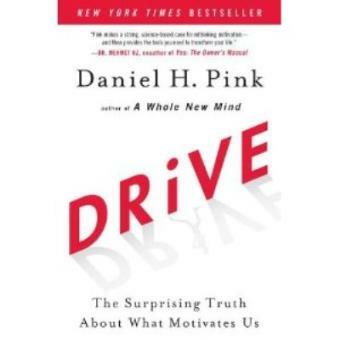 According to Pink (A Whole New Mind), everything we think we know about what motivates us is wrong. He pits the latest scientific discoveries about the mind against the outmoded wisdom that claims people can only be motivated by the hope of gain and the fear of loss. Pink cites a dizzying number of studies revealing that carrot and stick can actually significantly reduce the ability of workers to produce creative solutions to problems. What motivates us once our basic survival needs are met is the ability to grow and develop, to realize our fullest potential. Case studies of Google's 20 percent time (in which employees work on projects of their choosing one full day each week) and Best Buy's Results Only Work Environment (in which employees can work whenever and however they choose—as long as they meet specific goals) demonstrate growing endorsement for this approach. A series of appendixes include further reading and tips on applying this method to businesses, fitness and child-rearing. Drawing on research in psychology, economics and sociology, Pink's analysis—and new model—of motivation offers tremendous insight into our deepest nature. **The New York Times bestseller that gives readers a paradigm-shattering new way to think about motivation.